The Met Gala produces some of the most jaw-dropping, enviable fashion of the year. So when we saw Claire Danes’s glow-in-the-dark gown at the 2016 Met Gala red carpet, we knew we needed it. After all, doesn’t every girl want to look like Cinderella the way that Danes did? There was just one problem. Zac Posen wasn’t exactly going to design us our own custom, light-up dress. So what was a girl to do? Now, we’ve finally got our answer. Because we just discovered the most amazing skirt to help steal Danes’s style in the comfort of your own home. No red carpet required. The geniuses over at Think Geek were the ones to come up with the garment. 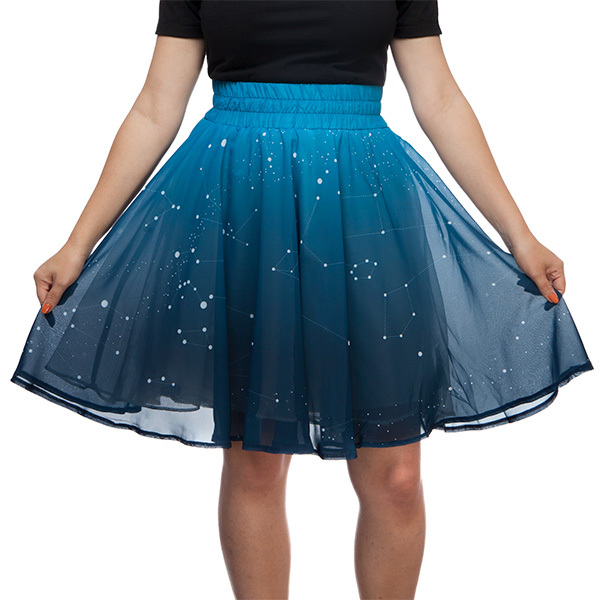 It’s called the “Twinkling Stars Skirt” and, with 250 tiny LEDs packed in, it’s absolutely gorgeous. But if you don’t have crafting experience, or you’re no good with electronics, it can be pretty daunting. With this skirt, all the hard work is done for you — there’s only a little assembly required. See how easy that is? And how incredibly it looks? At just $60 bucks, this thing is a steal. You can turn it on or set it to twinkle — and it looks just as good off. Sure, it’s no Zac Posen. But it’s also infinitely more wearable. Whether you’re going to a party, on an adorable date, or just love to live in sparkly style, this is the kind of skirt you can wear any day of the week. We’ve already placed our orders. You can grab yours here.